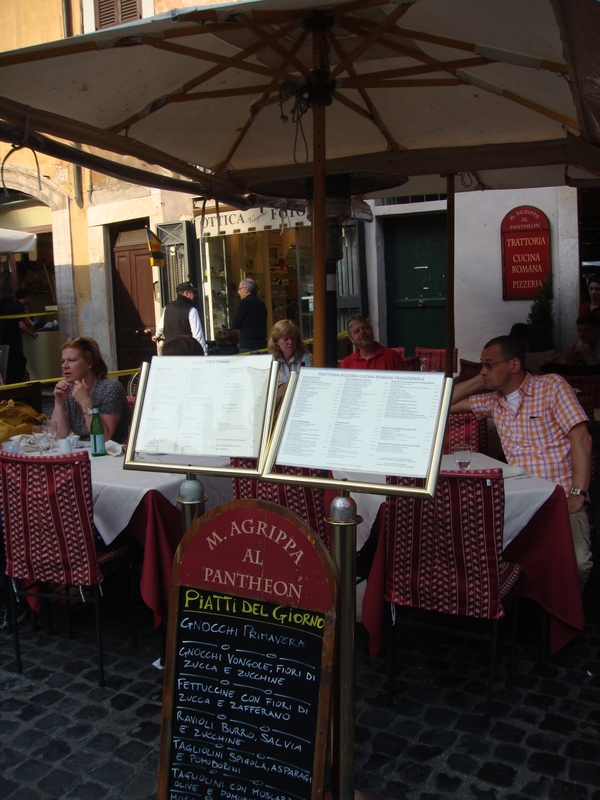 If you want a breathtaking Vino con Vista, visit the Pantheon in Rome. 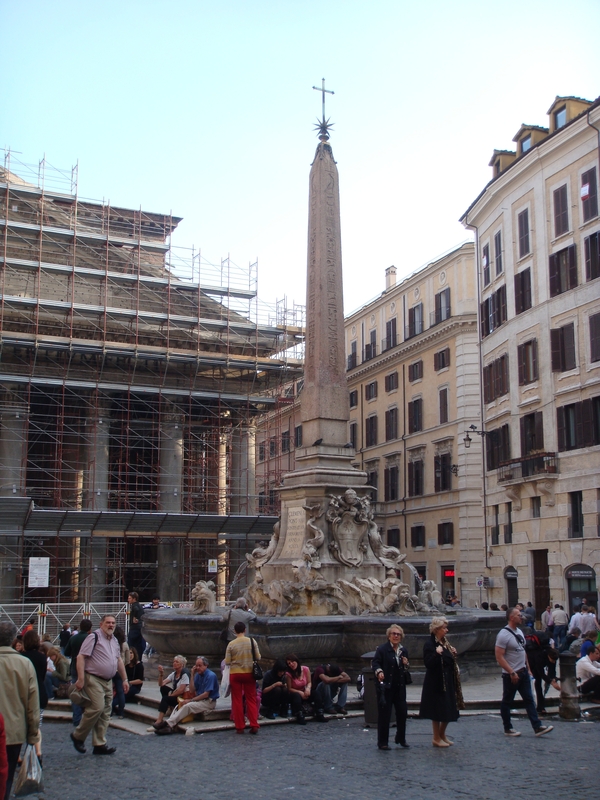 The majestic Pantheon is the Church of Santa Maria ad Martyres located on the Piazza della Rotonda. This is my favorite area to stay in because it is packed with restaurants and bars and has a very lively nightlife. I can never get enough of that gorgeous ancient Pantheon. 1. 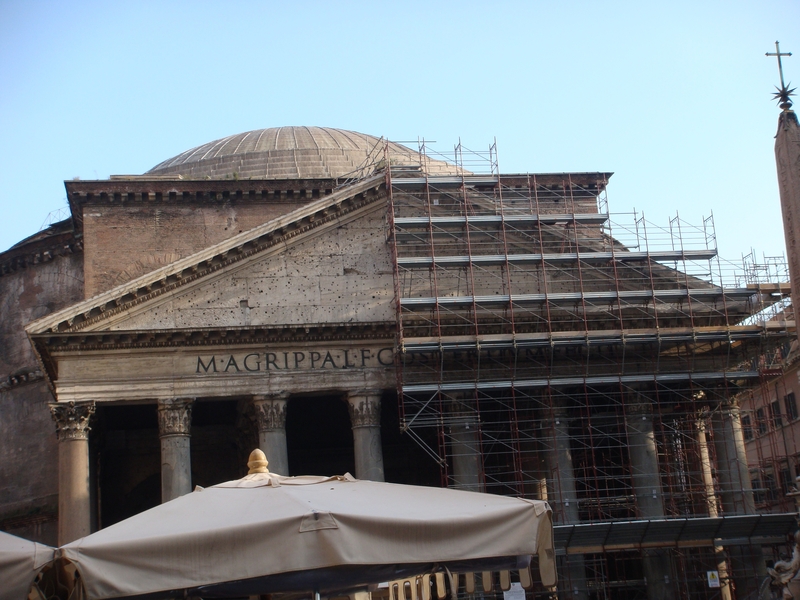 The first Pantheon was constructed by Marcus Agrippa between 27-25 B.C. 2. 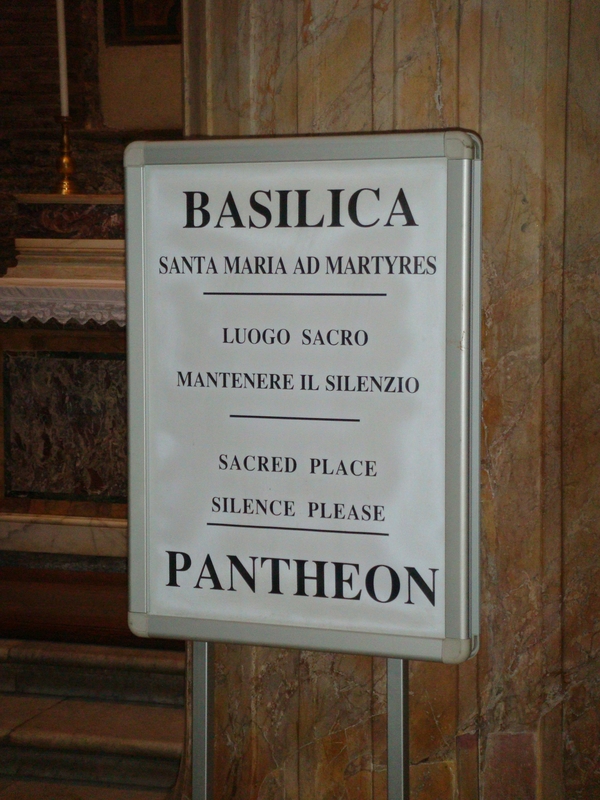 Between 118-125 A.D., Emperor Hadrian built a new Pantheon and, in 609, it was consecrated as the Church of Santa Maria ad Martyres under Pope Boniface IV. 3. The only light that enters the circular building is through a hole in the center of the coffered dome called the “oculus”. 4. 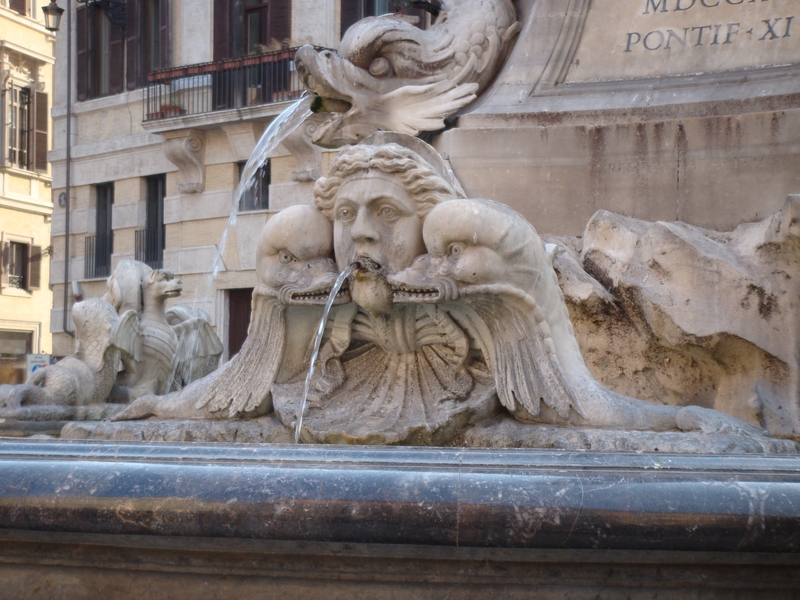 The building was constructed from a new material of the time called concrete, which wasinvented after the devastating fire in ROme of 64 to comply with the new fireproofing ordinances. 5. The ornate marble inlaid floor is sloped slightly so that rainwater would be able to drain from inside the building. 6. In 735, Pope Gregory III had the roof done in lead and, in 663, Emporer Constans II removed the gilded tiles from the roof. 7. To support the heavy dome, the walls are 19 feet thick. 8. 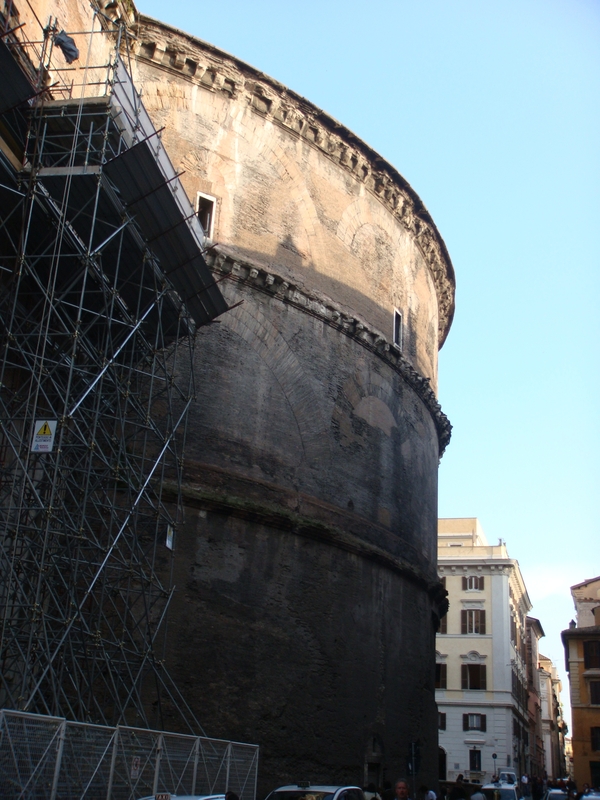 The Rotonda’s height and width are the same – 140 feet. 9. The original portico built by M. Agrippa remain and is built on the foundation of the original temple. 10. There were twin bell towers added on each side of the portico but they were removed in 1883. 11. 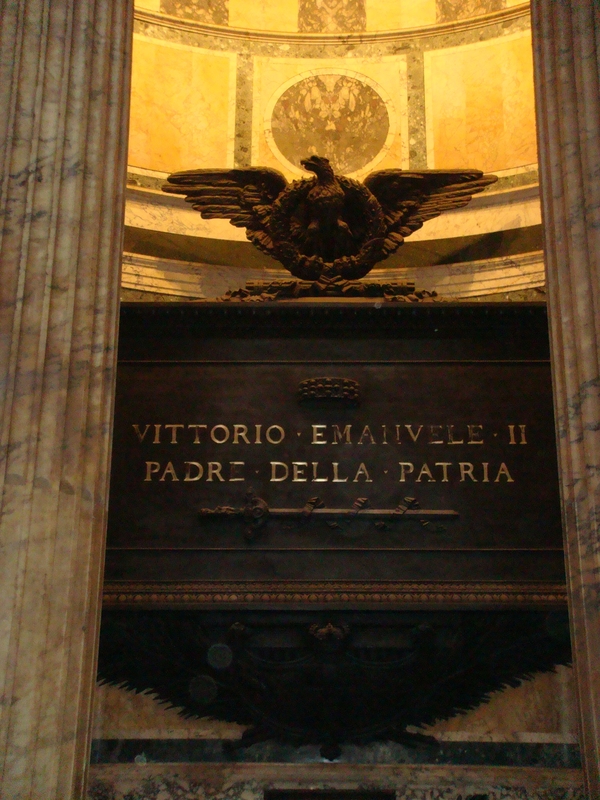 The interior walls are lined with tombs, including Raphael and King Vittorio Emanuele II. 12. When the Papacy moved to Avignon between 1305-1377, the Pantheon was used as a poultry market and fortress. 13. In 1632, Urban VIII had the bronze from the portico anddome melted down to provide Bernini the bronze with which to build the baldacchino in St. Peter’s Basilica. 14. Concerts are also held here from time to time. This entry was posted in Basilica St. Peter, Emperor Hadrian, Hadrian, Have a Vino con Vista near the Pantheon in Rome Italy, History, Marcus Vipsanius Agrippa, Pantheon, Pantheon Rome, Piazza della Rotonda, Pope Boniface IV, Rome, Spanish Steps, St. Peter's Basilica, Victor Emmanuel II of Italy on April 10, 2014 by www.vino-con-vista.com.